Appearance is important for everyday life. So that appearance can affect one's social status both consciously and unconsciously. Changing hairstyle, dress style sometimes gives quite a drastic difference. Twitter user @omaturi1002 who is also a stylist at Shibuya understands that, and it seems that he finds happiness when his work can make a person's confidence grow. 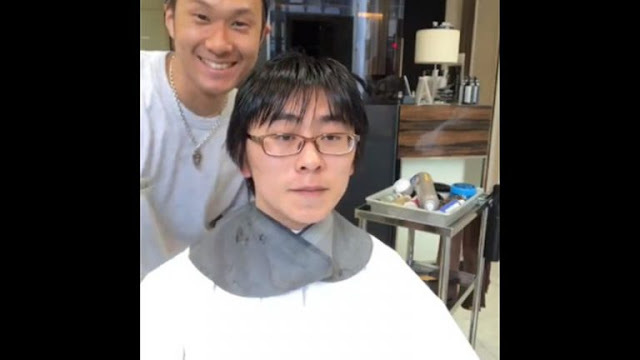 Recently he posted a video about how he changed a man who usually looks like an otaku, with surprising results. Before making a makeover, the young man had long hair that looked slightly oily and was not very well laid out. The length is a bit uneven, growing very long above the ear. Coupled with thick glasses, this style makes it look like a casual person who does not care about his looks. Then the stylist closes the camera and pulls her hand back to show us the new look that has been done, and the results are pretty amazing! The man's hair was neatly cut around the edges of his face and neck and was stained with a trendy silver-gray silver color. Now the otaku ex-looks like a totally different person! His eyebrows look a little thinner, and the stylist confirms in the tweet that he has also straightened his customers' brow hair. With a new style and thinner eyebrows, the man's facial structure becomes more visible. The man looks happy to see his new look, though he seems to feel a bit embarrassed about it.